With a brand new Switch in hand, I entered October with pure excitement after an August and September fairly quiet on new JRPG releases. My main goals for October were to finish Blue Reflection and play my new Nintendo Switch, so I made sure to play any new Switch demo on the go that caught my eye and at home give my time to my new favourite JRPG magical girls in Blue Reflection. As usual, I also attempted to finish what I was playing before I dedicated myself to newer releases, but I let lots of little things use my time in between too meaning I didn’t get to focus on them much. I don’t regret a bit of it though as I wasn’t ever bored last month, so here are all the JRPGs I played in October. While it’s not perfect by any means, I was won over by Hinako and her magical girl friends in Blue Reflection. The emotional story was filled with great characters that I enjoyed getting to know and I was genuinely moved multiple times while playing thanks to its well done look into the emotions of the girls in the story. The story, along with a really good take on the turn-based battle system, is something I look back fondly on in Blue Reflection and it inspired me enough to start a platinum trophy run of the Japanese version on Vita. Since posting my review of Blue Reflection and taking the time to look at other people’s, I can understand the flaws people see in it. It’s not the most difficult game, the localisation needs polish and there should have been more boss battles. 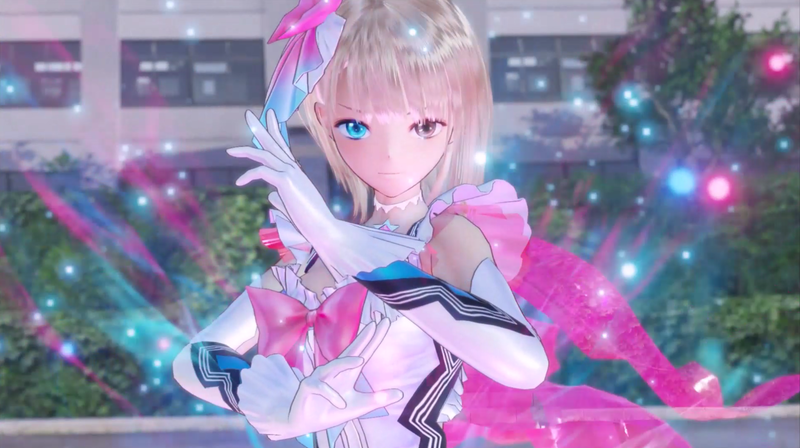 But to me there’s a piece of magic in how real Blue Reflection feels with its slice of life exploration of emotions in a RPG setting that has made me a fan and thanks to it, it’s highly likely I’ll make it one of my New Year's Resolutions to check out more of what its developer Gust has to offer. Project Octopath Traveler was the first demo I finished on my Switch and pleasantly surprised me in many ways as I got to know it and my new system. 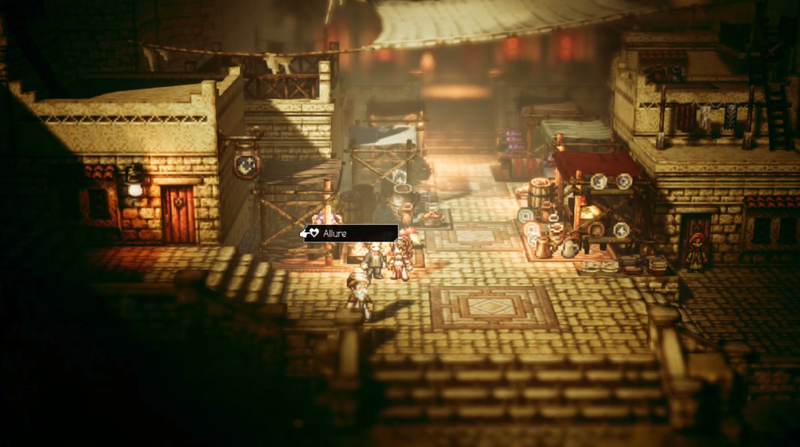 I tend to stay away from modern pixel style JRPGs, but when Octopath Traveler showed me a deep narrative and smart mechanics on top of its own take on 16-bit visuals, I became a fan pretty fast. I did my first playthrough of Primrose’s route quickly as the fantastic voice acting and lines made me really like her, and the boost mechanic in the combat was fun to play with while progressing the story. Project Octopath Traveler’s demo was a great introduction to the type of JRPGs I can expect to play on the go with my Switch and if Octopath Traveler is as good as it seems, it will definitely be coming with me on my commute when it comes out. 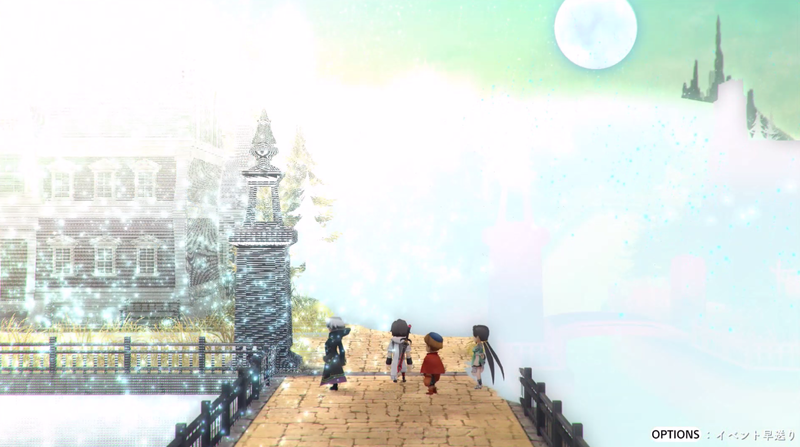 Lost Sphear was another demo I was happy to try on my Switch and since it isn’t a Switch exclusive, I also gave it a try on my PS4 as well. Much like Octopath Traveler, Lost Sphear takes inspiration from older JRPGs and while I was pretty sure I’d like Lost Sphear from its trailers, I was also pleasantly surprised by its story. The premise of Lost Sphear seemed really sad in trailers, but I really enjoyed its characters from what I could understand in this Japanese demo, particularly Locke as he was adorably childish and amusing with his antics. I managed to get lost (not a pun) a few times due to misunderstanding things in Japanese, but these moments also made me think it’ll be an interesting world to explore and restore in the story. My boyfriend ended up picking up the full Japanese version, so despite the fact my November JRPGs are pretty well planned at this point, it’s one I’m looking forward to getting back to hopefully sooner rather than later. I realised when I got my Switch my PS Vita time would probably be greatly reduced, at least for the month. I was very correct, as I only played Persona 2 one or two times in October and not for very long. This time felt even slower due to how long battles take and I think I must have only made it across one or two screens, which is not much progress at all. It’s a small shame as the story was just starting to heat up, but luckily because of that I have plenty of motivation to properly finish. Since I’m not purchasing any portable games this month as far as I know, I hope to do a much better job with Persona 2 in November and try finish it before the end of the year. Technically a spin-off game featuring JRPG characters and not a JRPG, I had to have a little peak at the Japanese demo for Itadaki Street this month due to its cast of iconic Final Fantasy and Dragon Quest characters. 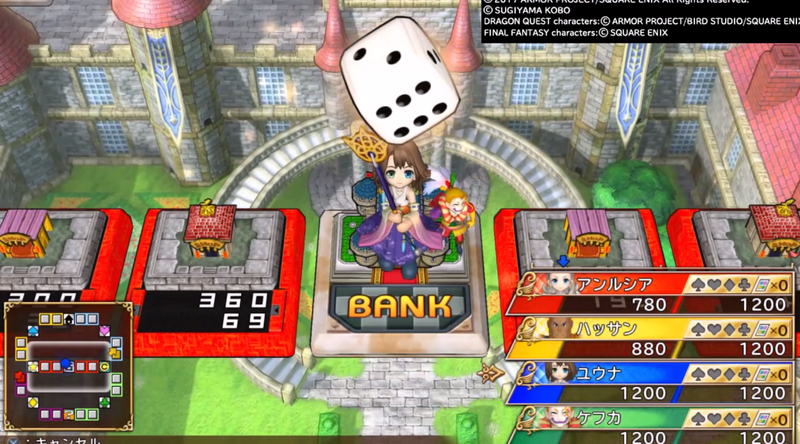 I’m not very experienced with Dragon Quest games, but I know a thing or two about Final Fantasy characters and the chibi-doll like animation was a nice way to see characters I like, along with seeing what the party game actually is. In saying this, I did enjoy it a little, but it’s definitely a board game style party game and not a JRPG and isn’t really what I’m looking to play right now. Although I was hoping it would be a light way to get to know some Dragon Quest characters while enjoying the antics of the Final Fantasy ones I know, I think I might try a proper Dragon Quest instead as I think I would enjoy that much more. I was very happy when I got a random email from a Digimon-related feed telling me that DigimonLinks was now out in English. I played the Japanese version of DigimonLinks in July and really wanted it to be localised for some on-the-go monster collecting fun and I’ve had a lot of fun playing it again but in English throughout the month. 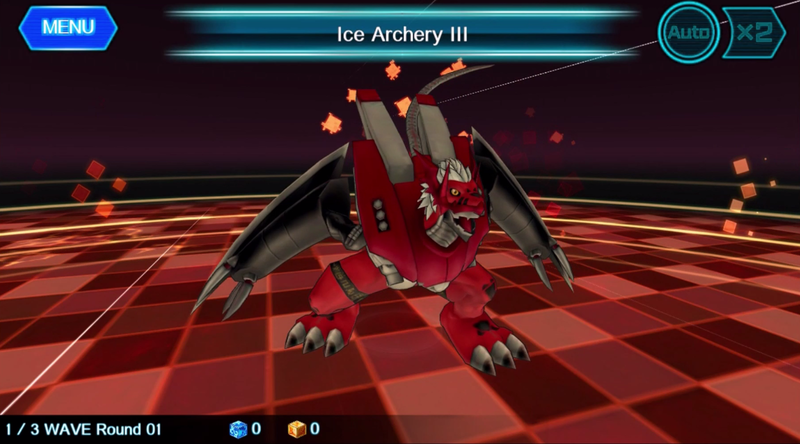 I want to do a full review on it if I get the time as its systems were deeper and different in some ways to what I expected, but the most important point I can give here is that I think DigimonLinks combines and streamlines some very good parts of Digimon Story Cyber Sleuth’s battle system and Digimon World’s monster raising mechanics to make a pretty cool smartphone JRPG and it’s a new favourite of mine. I took a good break from Final Fantasy XV after a definite case of Final Fantasy XV overload after almost a year’s worth of extra content being pumped into and around it. What made me drop back in is the recent story addition to Chapter 12 of XV giving background of the Astrals story and some pretty nice story moments that added good context to its events. 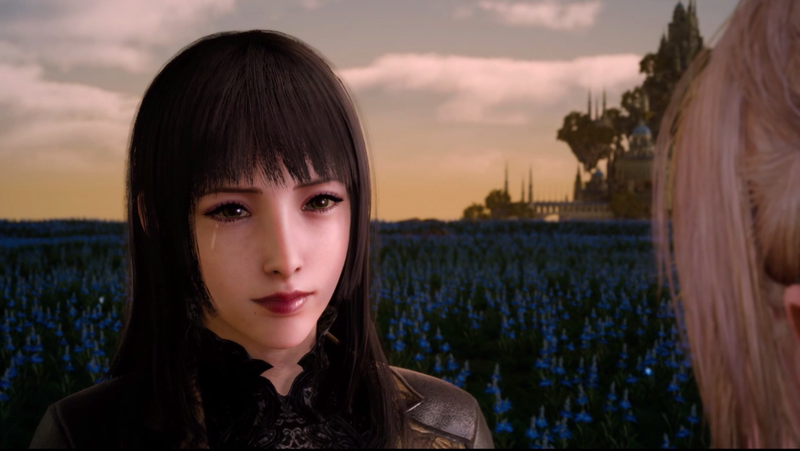 Usually Final Fantasy XV’s extra parts have been pretty standalone, but Astrals seems like a decent bit of story context to add and I found the scene very interesting, even if it could be argued that it should have been in the chapter in the first place. Regardless, it’s free and it’s a good addition, and after the context given from that small story chunk, I will go back to patiently waiting for Episode Ignis. Like Persona 2, I didn’t have much time for Persona 5 this month between demos and Blue Reflection, but I did briefly jump into it after Blue Reflection to do a little Confidant rank raising. 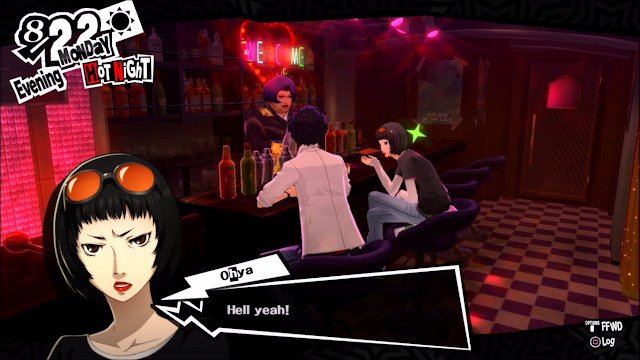 I’m in one of the story heavy periods in Persona 5 right now, so there isn’t really much to do although I think I’m about to max out my Confidant rank with Ohya and Chihaya again soon. I also jumped into my Japanese playthrough, but was bombarded the difficult language found in the Velvet Room and while Persona 5 is always fun, I didn’t have the time to get as deep into it as I wanted to. I can’t guarantee if I’ll get much time with it in November, but it is still high on my list of JRPGs I want to platinum. I mentioned in my JRPG plans for September my plan to play some JRPG-style modes in Danganronpa V3 once I finish it and I did finally get to the point in Danganronpa where I can do that. I’m really enjoying them and I want to talk about them without spoiling anyone who is playing, so I’ll probably do a separate post about it. To give just a little information though, I’m really enjoying these parts of V3 and I definitely feel like I satisfied both my enjoyment of visual novels and JRPGs in different aspects of V3. 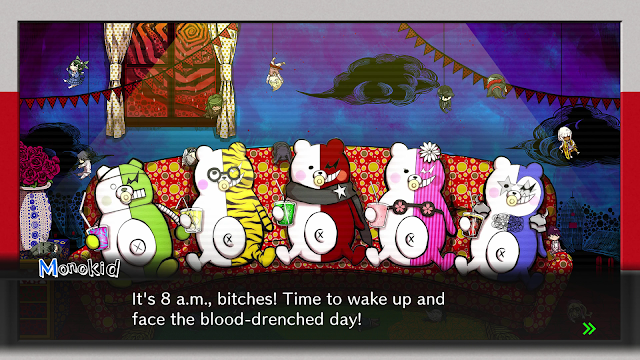 As a fan of the Danganronpa series outside of my JRPG life, I’ll take a JRPG excuse to spend more time with such a great game any day. 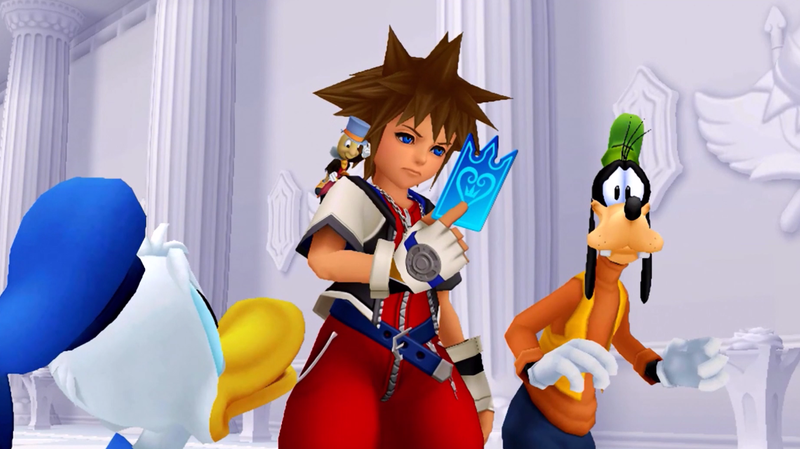 Usually I try to avoid talking about games I booted up purely to record footage for, but when I booted up Kingdom Hearts 1.5 HD to get Re: Chain of Memories footage, it was actually my first time with it. I did play the Gameboy Advance version of Chain of Memories and liked it enough, but I was incredibly surprised to see how good they made it look with the remastered PS2 version. The gameplay is pretty much exactly the same, it just looks much better and has occasional voice acting, which makes me really excited to play it. I never expected to get excited about playing Chain of Memories again after I lost my save last time I played it, but seeing this is a good push for me to finish my current playthrough of the original Kingdom Hearts game remasters to get to this next part of the story. As I make this post, my pre-order for .Hack//G.U. Last Recode is currently counting down to being ready to play and it’s my main plan for November. I wanted to plan to play more experiences in November like Pokemon Ultra Sun or Moon, but I realised .Hack// G.U. Last Recode is essentially four games in one, so I have a feeling that will be taking up a lot of my gaming time. I don’t really mind though, as I used a lot of my money in October on Switch-related things so having a good value, fun looking game like Last Recode coming out is probably exactly what I need. 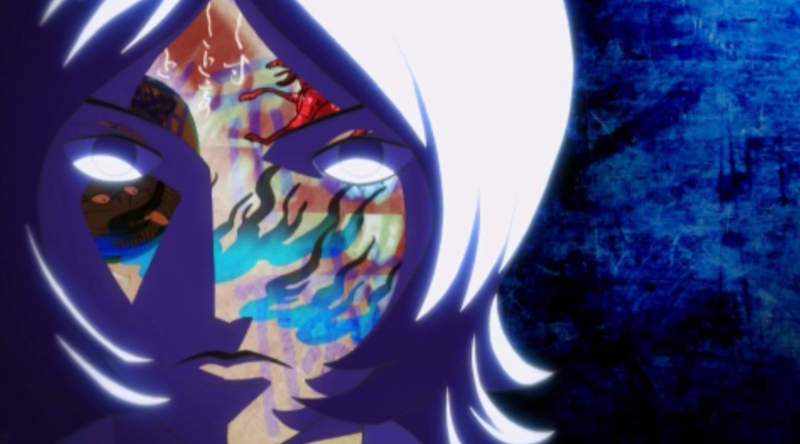 I also hope to get back to Persona 2 when I’m on the go during the month as I’m very determined to finish one of the two games I’ve been playing between releases by the end of the year. All in all, I’m excited to get back to the .Hack// series for the first time in a long time and it should be a good one to play as Xenoblade Chronicles 2 and the end of the year creep up. 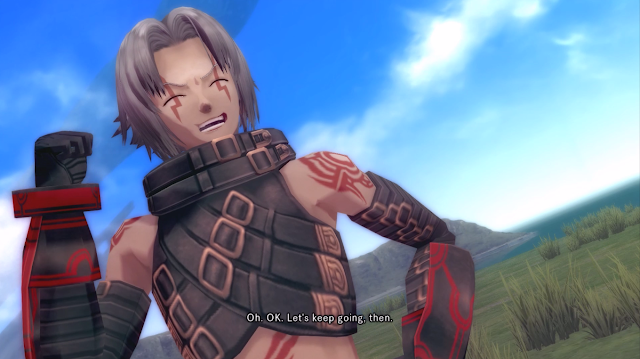 What JRPGs did you play in October? And what are your JRPG plans for November?